App development and software development are challenging and this is an on-going process where programmers learn new things and get new lessons each and every day. 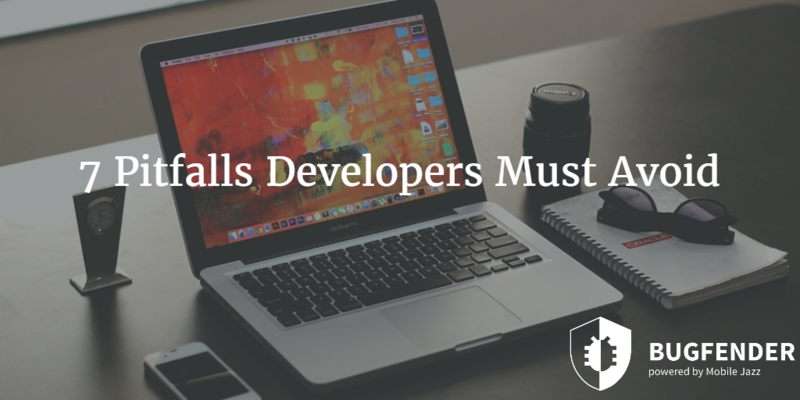 Whether you are part of a bigger team or you are working alone, you always make potential mistakes and here we are with some pitfalls that developers must avoid at all cost. That’s the biggest challenge that almost everyone associated with the app development industry face. Even the big companies do not release their apps for all the relevant platforms at once but they develop and launch their app for one platform, test the waters and then work on other variants. On the other hand, things are even more difficult for individual users as they do not have a marketing and research team to feed you the information. Now there are two different problems; first of all, you need to choose the right platform like iOS, Android, Windows Phone or BlackBerry. There are tons of factors that can help you decide which platform would be good for your app and some of those factors are target audience, purpose of the app etc. The other problem is specifically associated with the Android operating system because it has many variants and thousands of models. You have to balance the compatibility factor to focus on your target audience. Of course you would learn from your mistakes but do not put much hope on buggy apps that are ready to download on app stores. 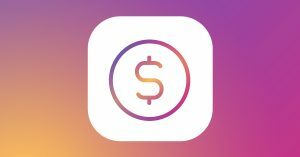 First of all, regardless of what your app does, thousands of other apps do the same and in order to stand out from the crowd, you need to make your app unique or solve that particular issue in a better way. For this job, you need knowledge and experience of the app development. 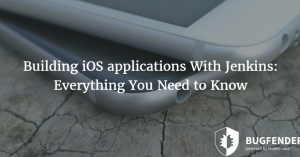 There are hundreds of popular iOS and Android development tutorials available on the internet and without learning the core concepts of the development, you cannot create a professional grade app that people love downloading and using on their mobile devices. Even if your app does not work well, at least make it look good. Regardless of what platform you are using, what development tools you are using and what type of app you are building, UI matters a lot as it makes the first impression. You cannot get a second chance for the first impression and that’s why it’s important to make your app look good. Android has a slight advantage here as they provide the UI guideline to developers. Although this design guideline has nothing to do with the intuitive design but it is offered to overcome the problem of Android fragmentation and to make a single app compatible with all Android devices and form factors like phones, tablets and smart watches, so make sure your app is easy to use and easy to navigate. App development is just a single phase of the entire life cycle and some other phases like marketing and designing are important too. However target audience identification is a task that needs your efforts at its maximum because identifying your target audience is like building the foundation of a building. You need to identify who is your target audience, who would use your app and how the app would help that particular user base. Without the market, you cannot develop a successful app. Similarly, identifying the exact audience allows you to make a prototype or beta version of your app to resolve their immediate problem and get their feedback to make your app even better. We talked about this particular point earlier but from the user point of view. Obviously, not every user can understand complicated things and that’s why programmers are encouraged to make things simple and easy to use. Similarly, from programming point of view, programmers must simplify things for all kind of processes and tasks. Some development tools, platforms and operating systems offer better controls and options but here we are talking about the general mindset. Scalability is a must-have trait in today’s app development world and programmers must think it through at the initial stage of software life cycle. Scalability is as important as the compatibility of your app with different platforms and it has direct connections with your users and their perception of your app. You might have statistics about your target demographics and users, how you are going to market the app, what features are primarily required and how your app is going to solve a particular problem. But you have this information now, you cannot possibly predict the reaction of your users after seeing your app for the first time and you don’t know what features they are going to ask in the upcoming versions. That’s why you should keep the doors open for new possibilities. Just like every other machine, software and mobile apps are also not fault tolerant. They do exactly what they are told to do that means 100% mistakes are caused by the human error. Of course that’s the part you already know but focusing on the details could help you save a lot of time. For example, even a single comma, full stop or a negligible logical mistake can crash the entire app. Have you selected the right text length? Have you selected the right format for the date? How Bugfender Can Help You In App Development? 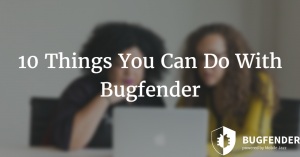 Unlike other app crash reporting and analytical tools, Bugfender is specifically designed to report all types of abnormal behavioral patterns instead of just reporting the total failure. This unique ability helps developers understand the hidden bugs and test their apps on real devices in real time. Our purpose here is to discover and fix bugs before users find or experience them. How to Improve Customer Support In Your Mobile App? as_autodesk Created with Sketch. as_ford Created with Sketch. as_safedome Created with Sketch. as_slack Created with Sketch. as_sk_telecom Created with Sketch. as_intel Created with Sketch. as_aimail Created with Sketch. as_volkswagen Created with Sketch.